Since the start of Retirement Health Planning, one goal has remained steadfast—to build an organization that our clients can rely upon as their trusted advisor. When it comes to insurance, we know that making the right choices for you and your family can be daunting. To help you make the right decision we take a commonsense approach – we ask questions, listen to your answers and only then recommend the type of policies that will fit your particular needs. The Retirement Health Planning commitment to our customers is the driving force behind our approach. In addition to providing our clients with options, we are dedicated to the highest service levels. 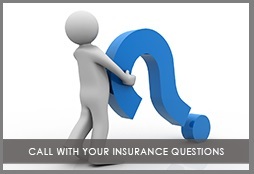 From our many years of service, we know that when customers need help with insurance questions they can’t wait. We also know that when it comes to protecting the things that are most important to you, it’s important that you make the best choice.